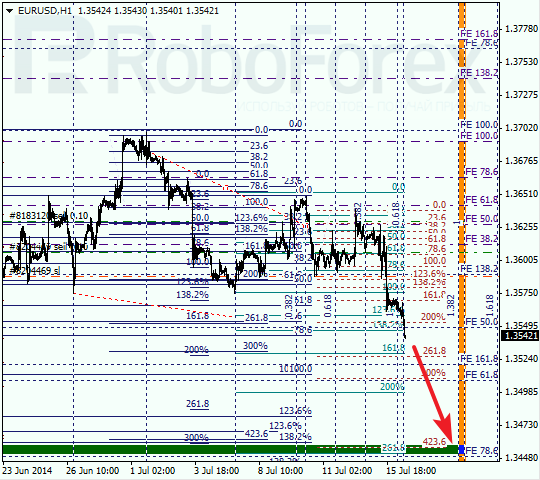 Euro is falling down fast towards the group of lower fibo-levels at 1.3465 – 1.3455. Stop losses on my sell orders were moved to latest local minimum and are already in breakeven. As we can see at H1 chart, price reached new low. According to analysis of temporary fibo-zones, price may reach its targets by Friday. If later pair rebounds from lower levels, market may start new correction. Franc successfully completed current correction and reached new high. 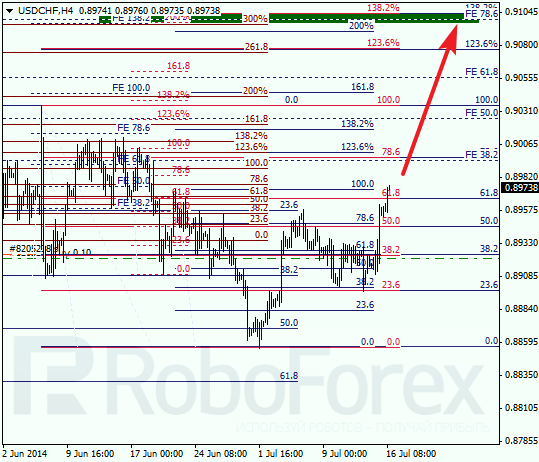 Targets is still the group of upper fibo-levels at 0.9105 – 0.9095. Later I’m planning to increase my long position; stop loss on my current order is in breakeven. 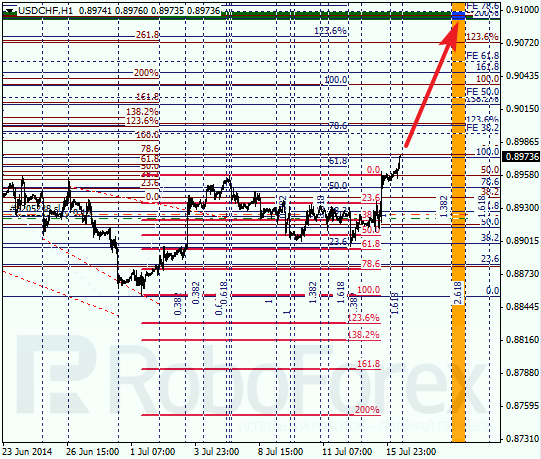 Franc rebounded from level of 61.8% (0.8895) and started new ascending movement. According to analysis of temporary fibo-zones, upper targets may be reached until the end of this trading week. If later pair rebounds from predicted targets, market may start new correction.